The Tokachi area, laying at the foot of the magnificent Hidaka Mountain Range, is a rich region blessed with beautiful nature, weather, and food culture. With vast, large-scale fields keeping you strikingly aware of the far away horizon, and the popularity of dairy farms and animal breeding farms, the Tokachi brand has become a strong marker of quality for dairy and other products. On this trail, we recommend trying cuisine that brings out the best of these local ingredients, whether they be vegetables, meat, or dairy products. Feel free to try the pork bowl, a popular comfort food made from pork flavored with soy sauce. You can also head to Shimukappu, a village bordering the Tokachi area and home to mountainside resorts, and try the edible wild plants. 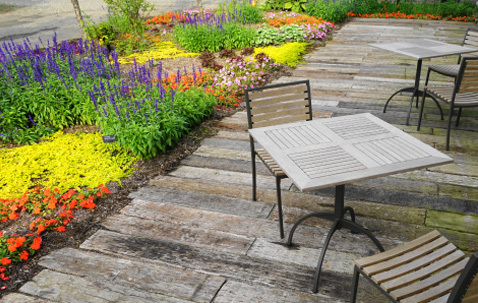 Located in food and farming themed park Tokachi Hills, this restaurant offers a beautiful view of the Tokachi Plains. Enjoy a fusion of Tokachi's plentiful ingredients and Hungarian cooking, thanks to the restaurant's Hungary-born chef. 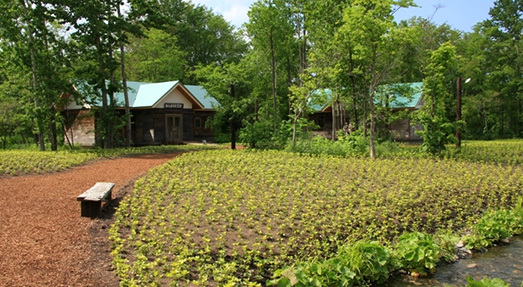 Meals are made with herbs and vegetables picked from the restaurant's own garden. Especially popular is the Mangalica pork. Designated as a Hungarian national treasure, the Mangalica pigs used at this restaurant are raised in Japan. This small restaurant sits in the middle of the woods, encircled by fields. 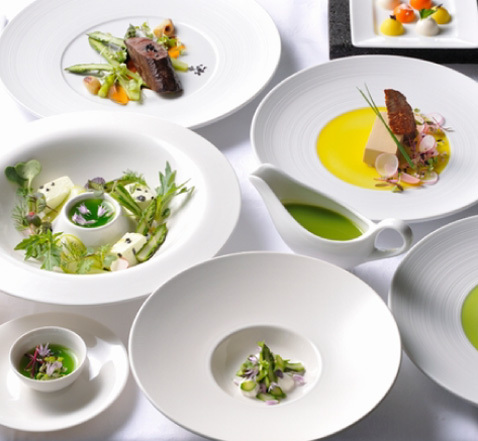 Their menu, which changes slightly each day, makes frequent use of Tokachi produced vegetables and beans. At its core, the food here is Japanese style, carefully cooked to bring out the best flavor from each ingredient. Each bite will have you feeling more and more refreshed. There are a limited number of seats, so make sure to make a reservation beforehand. 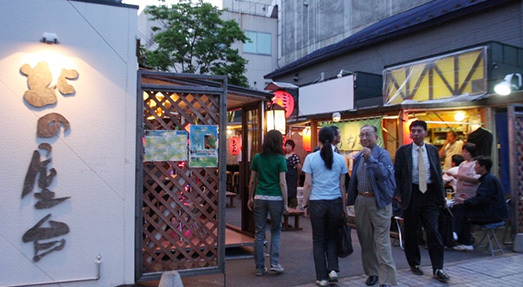 Kita no Yatai is comprised of 20 interconnected shops, with each individual shop only sitting 7-8 people. The real appeal here is the incredible variety of foods and styles, whether you're looking for bar food, French, Chinese, Korean, or something else entirely. These shops are bustling every day, proudly serving unique dishes made from Tokachi vegetable, meat, and seafood. Wheat, sugar beets, milk turned into raw cream, eggs, red beans to be turned into red bean paste, and more. Places along this trail produce a wide variety of ingredients used in baking bread, as well as Japanese and Western sweets. Because of these, there are a large number of shops that actively try to use local ingredients, or make charming products using Tokachi's scenery as a motif. These products also make for great souvenirs. A park managed by Tokachi confectionary Rokkatei, which acts as a representative of Hokkaido's sweets. 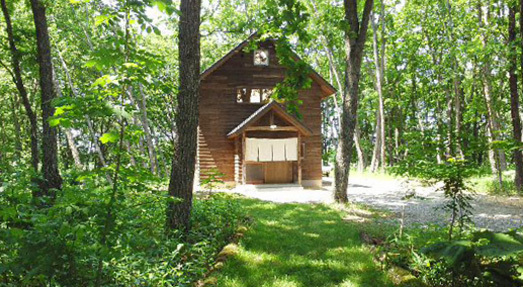 In addition to art galleries dotting the grounds, the park also contains rest houses and shops where you can buy Rokkatei's sweets. 11:00～17:00 From 9/25-10:15: open until 4:00pm. 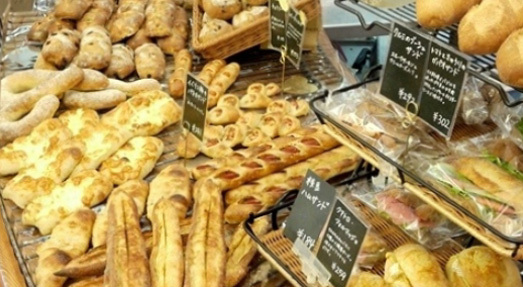 At this bakery, all bread is baked using Tokachi-produced grain. All the varieties of bread lined up by the register - red bean paste, cream, bean, seasonal fruits and vegetables - were made using local Tokachi or Hokkaido-produced ingredients wherever possible. The fun of this trail is visiting the number of shops directly managed by the food producers and farmers; as you visit their restaurants and cafes, you'll also be able to make contact with the farmers themselves. Furthermore, you could have the unusual experience of receiving a unique local tour from a professional field guide. 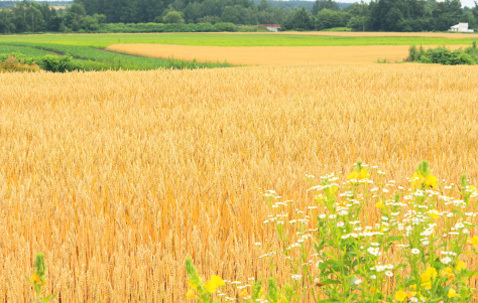 Learn more firsthand about Tokachi's farms and fields. Their "country cooking buffet" is highly popular. This shop is well-regarded for its dedication to using local Tokachi and Hokkaido ingredients, as well as for the chef's skillfully cooked Western-style menu. On this popular tour, you'll listen to your field guide as you picnic in the vast fields. 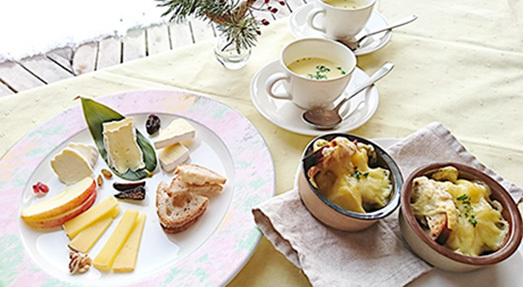 Furthermore, you can enjoy a nice lunch of ajillos and fondue, made using Tokachi flour-made bread and vegetables. This restaurant is on the 4th floor of the Wine Castle, a symbol of the "wine city" Ikeda. 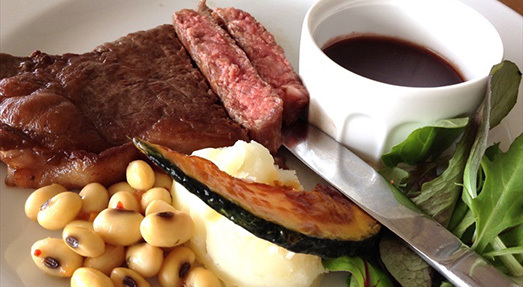 You can enjoy the Tokachi beef, ingredients, and wine together with a beautiful view. 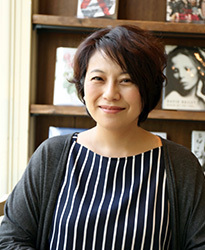 A cafe directly managed by Kyodo Gakusha, makers of authentic cheese so good it would net the gold medal in even a European contest. 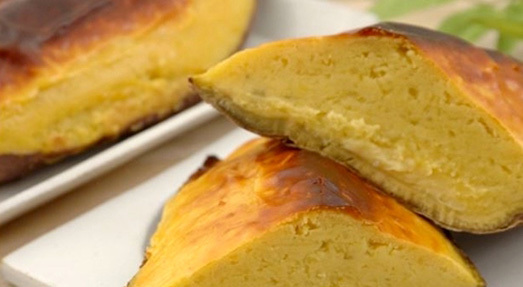 Enjoy the flavor of thick raclettes or pizza cheese. 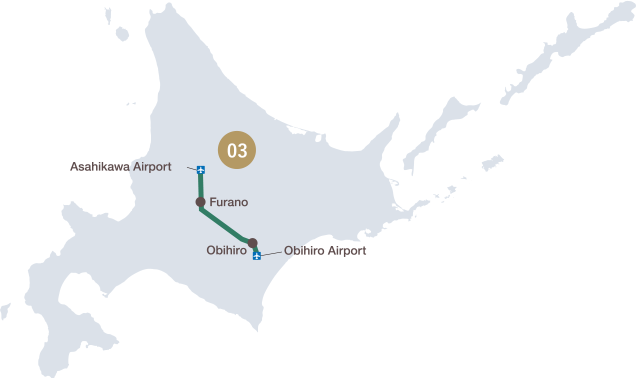 A pastry shop with 5 locations within Obihiro city. Their most famous product, large sweet potatoes, are sold by weight. In addition, their classic "shanruru" cookie, available since the shop's founding, is a local Obihiro favorite. 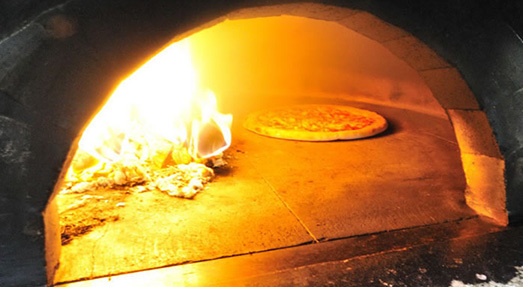 At this shop, get a taste for Naples pizza baked in a stone oven. 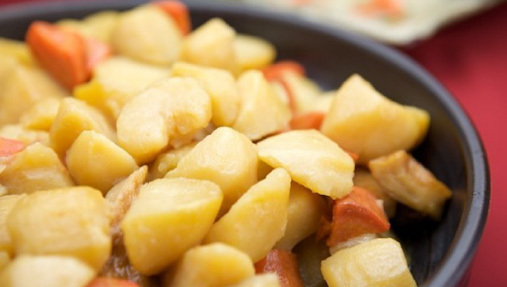 Ingredients include vegetables purchased from the in-town Blue Mountain Farm and other Hokkaido produce. Enjoy a taste that's refreshing, reassuring, and authentic.